Amazon ranking our book among the top 1300 books downloaded! It is FREE on Kindle until March 1, 2014. The editorial and customer reviews including Readers' Favorite and Blogger News give the book a 5 star. 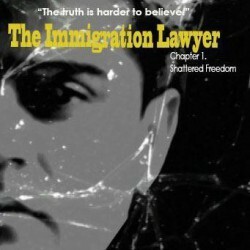 After reading, we kindly ask that you give the book a review on Amazon.com (http://www.amazon.com/Immigration-Lawyer-Asylum-1-ebook/dp/B00IGFRM02/ ). Note that it is very important to review . Kindly Share with your friends and on your social media. Audio book coming soon on Audible.com!! !